Most people spend years trying to forget, run from, or pretend that things that have happened in their past don’t exist. What if the key to all the success in your future had nothing to do with your present, but all was in your past?It’s an idea and concept that will completely change the game in terms of how you think and how successful you are. Sounds complicated and tricky? Well it isn’t if you have Bron Williams guiding you through it. Williams expresses the importance of not burying one’s past because she believes that the past is a treasure trove of resources for the future. There is truth in the saying that we learn from the past and that’s exactly what Williams teaches. Not letting one’s past hold them back is a key aspect for success. This is not an easy thing to do alone so Williams coaches people on how to conquer the past using the past as a tool. According to Williams, everyone needs to understand their backstory. This is a critical step to achieving success in one’s personal life as well as in business. When Williams interviewed Fredrik Eklund, New York’s top real estate broker and star of the reality TV show, Million Dollar Listing New York, he said that he had an innate restlessness which had troubled him when he was younger. With backstories being Williams’ area of expertise, she was able to understand what this meant. He said that he channels this restless energy so that it fuels his passion for life and business. Eklund was able to transform his backstory and understands the importance of doing so. This is a great depiction of how understanding ones backstory can propel someone forward, as Eklund is living proof of how successful one can become. 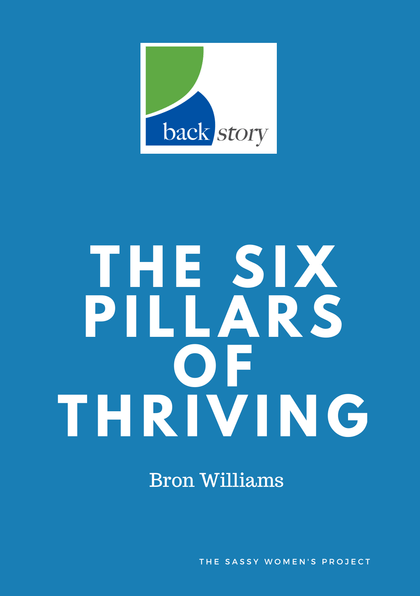 Williams’ backstory coaching programs are custom made and include an assessment using the Backstory Matrix and a series of either face to face coaching sessions or via Skype. The programs cover areas such as Backstory Basics, Anchors and Sails (identifying what keeps one anchored down and what enables one to sail forward) and Own, Embrace and Create, which are the 3 backstory keys. She also offers Diversity Workshops. She believes diversity is crucial in business because if one isn’t keeping it interesting, both staff and clients will lose interest in their business. Williams and her experienced team run workshops to train staff to learn how to tap into a diverse range of talents, so that diversity is seen as an important asset to create the most success possible. With so much interest but not many specialists in this area, Williams has positioned herself as the authority. This has enabled her to speak on many stages all over the world and speak about her success methods, making her a highly sought after speaker. For those ready to let the past go and move into a successful future, contact Bron Williams to get started.